Highways England (HE) has given a prestigious award to a company helping to transform road safety standards by using revolutionary installation vehicles that reduce disruption for drivers going through roadworks, while simultaneously improving safety for road workers. 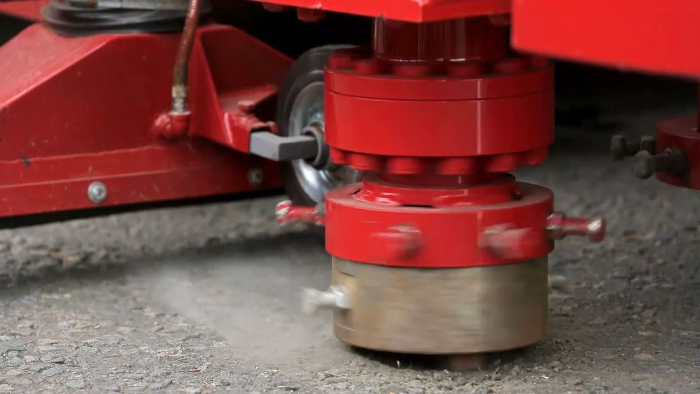 The equipment developed by the WJ Group is used to install the road studs or ‘cats’ eyes’ that help drivers stay in the right position on the road. The UK uses 12 million road studs on its national and local road network, all requiring maintenance or replacement at some point. Traditionally, to ensure the work to install the studs can be done safely, two lanes of the road, and sometimes a whole carriageway, need to be closed, with the resulting disruption for drivers. 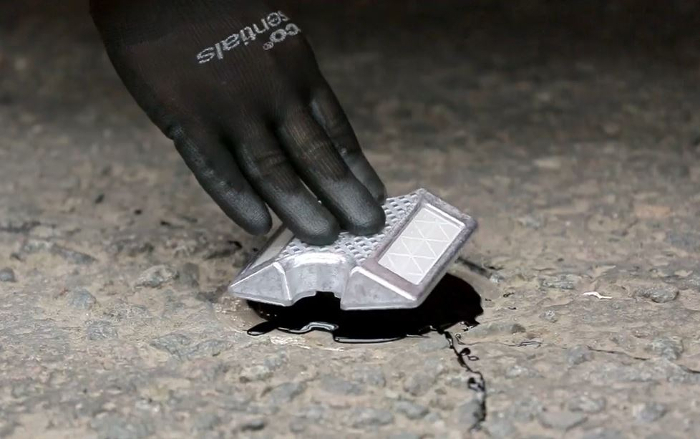 The bespoke design of the WJ Group’s Guardian Road Stud Installation System allows the complete road stud installation process to take place with just one lane closure, leaving extra space for drivers to get past, while protecting operatives within an integrated safety cell of an 18-ton truck. 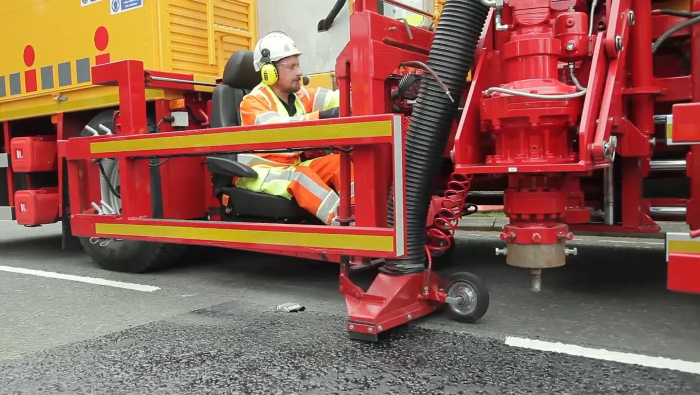 From this safe position, the road operative activates the drill, vacuums up debris, applies hot bitumen grout, and places the road stud before the vehicle moves onto the next position. The WJ Group’s stud installation system was one of 23 initiatives rewarded at the first Highways England Awards ceremony, which took place last week and are designed to recognize activities that further the agency’s imperatives of safety, customer service and delivery. Other winners included: the introduction of a vehicle brake system that improves road worker safety; ways to save water and minimize the environmental impact of construction sites; a partnership to share important vehicle safety check advice with new parents; and a collaboration with the Driver and Vehicle Standards Agency (DVSA) that has tangible benefits to the road safety of commercial vehicles. Teams from within HE, as well as its supply chain partners, were among those recognized in the awards, with the winning entries selected from more than 200 submissions. The HE Awards judging panel noted that the WJ Group’s entry used innovative equipment that went hand-in-hand with a culture change and buy-in from the frontline workforce, which will make a positive difference to roadworker safety and road users’ experience.